Dust 2 is one of the most famous Counter-Strike maps of all time, and it’s coming back to the newest version of that game. Valve revealed a reworked version of the iconic bomb defusal map, and it’s looking pretty great. Earlier this year, Dust 2 was removed from Counter-Strike: Global Offensive’s competitive playlist. The popular map has been a fixture since the original game, where teams of terrorists rushed B and AWP snipers lurked at the end of long corridors. They removed it temporarily in favor of the slightly more circuitous bomb defusal map Inferno. Valve’s reworked version hopes to give the map a visual overhaul while improving the map’s readability and balance. Some of the more noticeable changes are surprisingly small. Valve has shrunk some cover points like the large boxes near point A, which face the terrorists’ spawn and provide a popular spot for campers and snipers. They also slightly shifted a telephone pole in the long corridor from T spawn heading to point at. It’s also a small change but it alters the sightlines a tiny bit for snipes and corner peeks. The removal of some drain pipes at one of the entrances to site A also grant improves visibility for quick peeking. Changes to the lighting in the tunnels towards bombsite B should cut down on the amount of lurkers. That means you, Corey From High School. 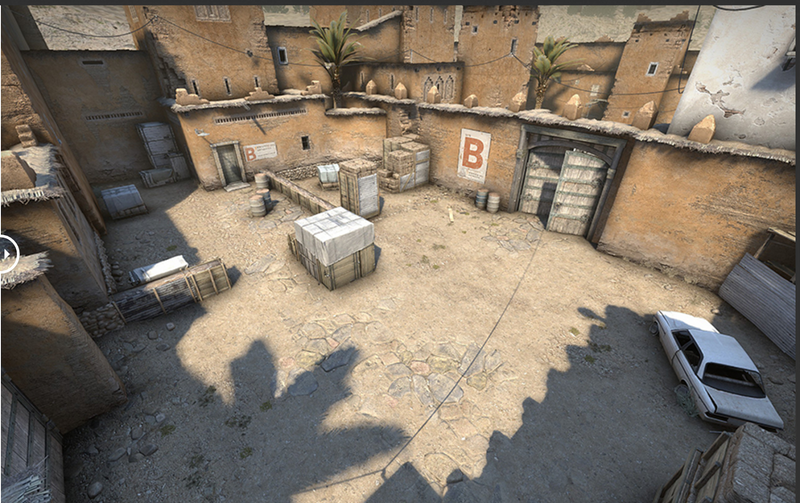 Dust 2’s always been a map that plays pretty fast, but Valve’s changes seem focused on speeding things up further. Ideally, it will add a bit more mobility to the map and snappier gunfights when heading to plan the bomb. I’m a CS hipster. Global Offensive has never grabbed me the same way CS: Source or 1.6 did but this cleaner version of Dust 2 has me interested in loading the game back up to explore a slight variation on one of PC gaming’s most exciting maps. You can read about all the changes here and play the new map on the game’s beta servers.